Step aside, crocheted lace coat hanger. There’s a new breed of hangers and hooks in town. 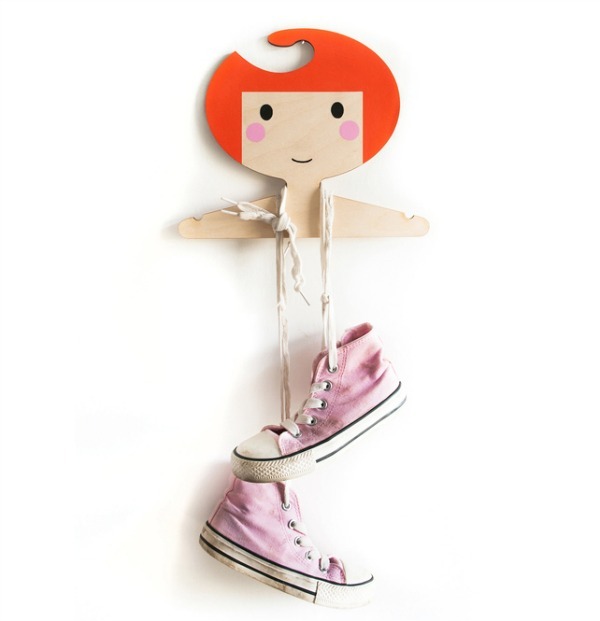 Red Hand Gang designs adorable hangers, hooks and cards that will add a splash of personality to children’s rooms. Red Hand Gang is the work of Abi Simmons. 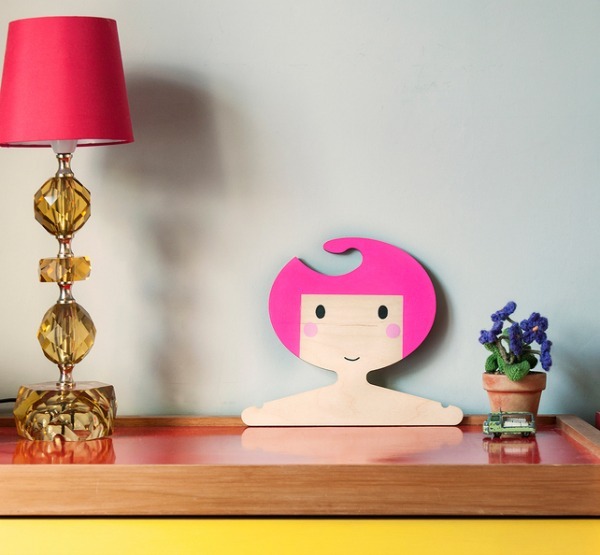 This inspired designer is based in the UK and creates, illustrates and hand paints all of her fabulous products from home. Hangers and hooks are quickly becoming Abi’s signature products thanks to a super cute design that has wide appeal and makes a perfect gift. 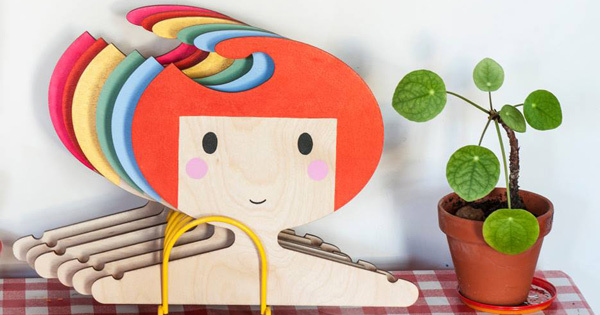 Abi hand-paints each piece with a minimalist style face on laser-cut birch ply. The funky hair colour options are what really sets them apart and personalises them to each particular room. 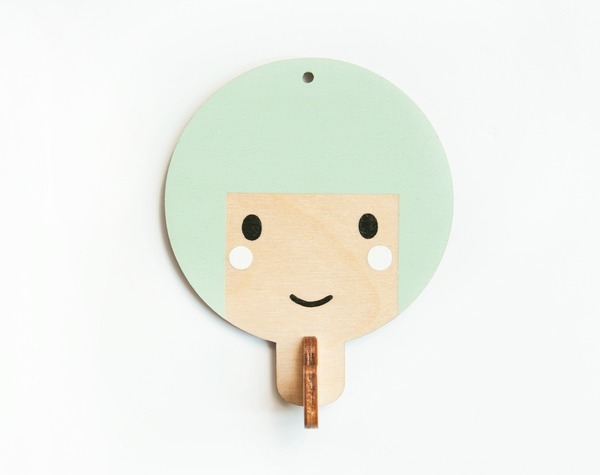 These girl hooks come in awesome gelato colours. The green is super cool and there is a yellow and pink version that together make a perfect set. 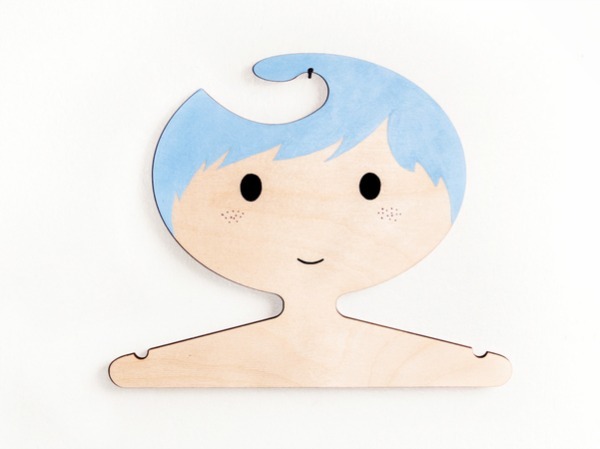 I just love this blue haired boy hanger too. Check out those adorable freckles! There is no way that these products should live inside a closet or behind a door like a normal hook or hanger – they are much more a statement piece and make the perfect point of interest in any room, so be sure to put them on display. While the hangers and hooks are great to hold a bag or jacket, they are even better holding a special dress or superhero cape. You can buy Red Hand Gang products online through Folksy. A more limited range is available through Etsy. They are based in the UK but ship worldwide.